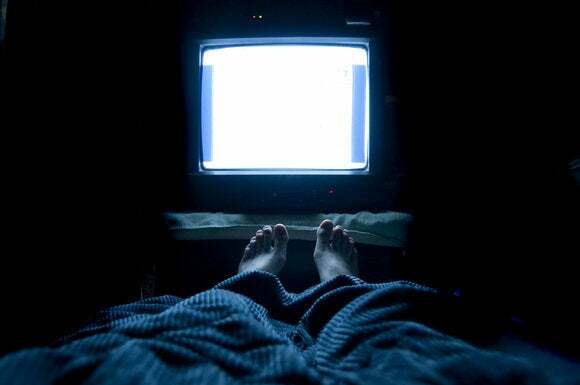 New research suggests nearly a third of all U.S. consumers 'binge-watch' streaming video at least once a week, and millennials not only stream more video than any other demographic, they also do as many four other things at the same time. More people "binge-watch" online video, stream digital music and "cut the cord" today than ever before, as technology continues to reshape the consumption of digital media. Perhaps unsurprisingly, millennials, or adults born between 1981 and 1996, are driving this shift. Recent research from Deloitte indicates that nearly half of the U.S. population subscribes to at least one streaming service, and both teenagers and the youngest millennials now spend more time watching streaming video online than live TV. Americans also watch streaming video in really big chunks; nearly a third of the consumers surveyed said they binge watch, or view three or more episodes in one sitting, at least once a week. And when consumers binge, they frequently watch as many as five episodes at a time. This number applies to most age groups, with the exception of people over 69, who Deloitte tactfully labeled "matures" and who binge watch much less frequently. While Americans binge, they do much more than simply enjoy the programs in front of them; they multitask like crazy. According to Deloitte's research, 92 percent of consumers multitask while watching TV, and millennials often do four additional activities as they stream. Despite all this streaming, the move away from traditional paid TV is ongoing. Deloitte predicts that only 1 percent of TV subscribers will cut the cord completely and move strictly to streaming this year. That number will increase slowly to 1.5 percent next year, and to about 2 percent in 2018, Deloitte says. So instead of cord cutting, it appears that many consumers are engaged in cord shaving, or cutting back on paid TV subscriptions while adding streaming alternatives. Another group should disturb traditional TV providers even more: the so-called "cord nevers," who don't subscribe to paid TV service at all. A survey referenced by Deloitte put the number of cord nevers at 11 percent of people between the ages of 18 and 34. In other words, the millennials. The number of people who make up older generations, who are more loyal to paid TV, will inevitably decrease, so the future of traditional TV doesn't look terribly bright. It also turns out that digital music downloads are going the way of the CD. The Recording Industry Association of America (RIAA) reports that streaming music now accounts for more revenue than any other music format. In 2015, streaming music revenue surpassed download revenue for the first time, and both digital formats dwarfed physical media, according to RIAA.